A catwalk, cocktails, and complimentary valet parking. 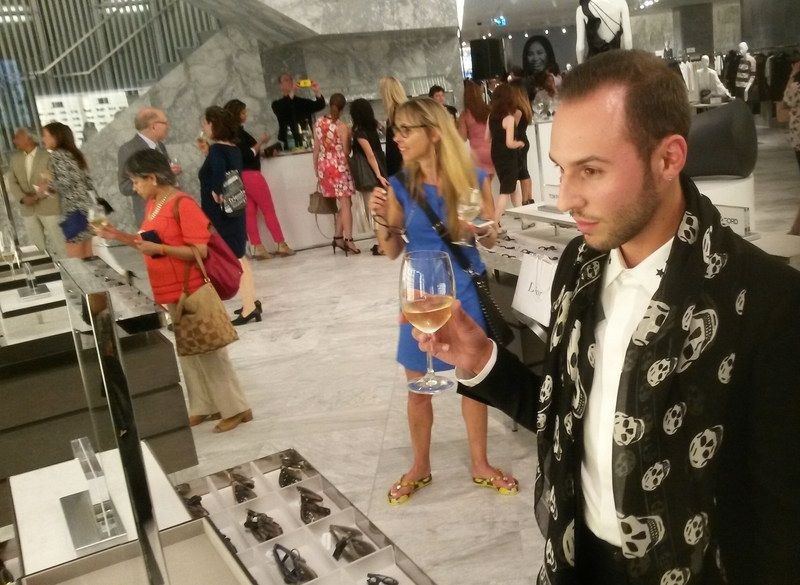 Sartorial splendour was teeming at Square One Wednesday evening during an exclusive VIP launch at Holt Renfrew. Anchoring the luxury wing of the downtown Mississauga mall’s south expansion, Holts, as it’s affectionately known, kicked off the event with a fashion show, followed by shopping. “It’s amazing,” said Melany Haynes of Burlington. The retailer’s 130,000 square-foot location is featuring coveted, luxe designers and ready-to-wear brands such as Helmut Lang, Prada, and Lanvin. Best friends Anthony Ferrari and Rebecca Vona of Woodbridge were all about it. “The fashion show was the highlight of the evening,” said Ferrari, sipping white wine. Ferrari was buying a dark, printed Alexander McQueen scarf. “I think it’s one of the nicest stores I’ve seen,” said Vona. Kristina Pura-Cruz of Mississauga concurs. “Everybody’s dressed up and it’s very luxurious,” she said. Pura-Cruz was in line waiting for a personalized fashion caricature. An estimated 1,400 people were in attendance. “Some are former customers, some are people who live in the area,” said Holts’ divisional vice-president and general manager Marcus Wyss. 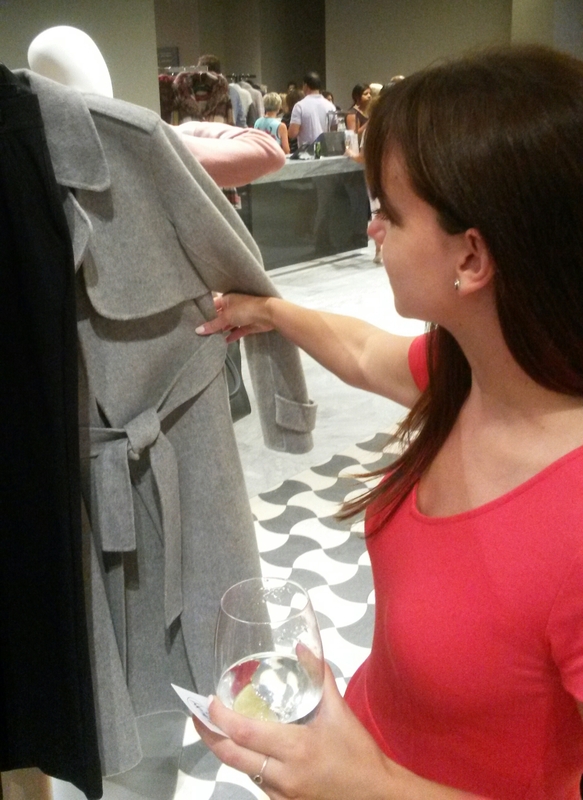 “For us, it’s exciting because we’ve launched new services and experiences,” including personal shopping, said Wyss. At Holt Renfrew opening Mississauga Square One Beautiful Store! Ten per cent of Wednesday’s sales will be donated to the Mississauga Arts Council. 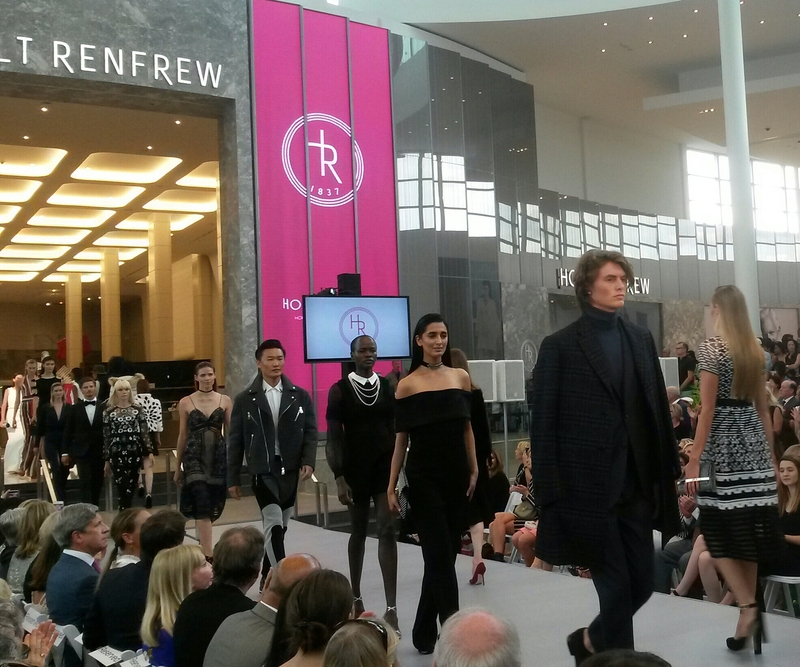 Holt Renfrew officially opens at 10 a.m. Thursday. Square One was ranked the 10th most profitable Canadian mall in 2015.